The most important characteristic of a successful family – as philanthropists and as family members – is communication. 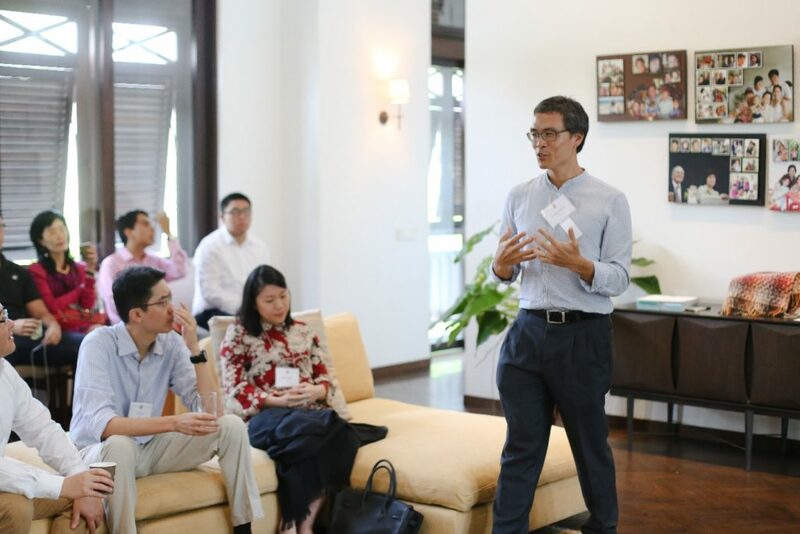 Members of Asia Philanthropy Circle and Harvard University alumni were invited to do just that in an honest and intimate conversation held at the Lien Villa on Saturday, 18 March. The conversation, “Wealth in Families”, was facilitated by Mr. Alasdair Halliday (AB’82), Philanthropic Advisor and Director of Principle Gifts for Harvard University Planned Giving, and author of Wealth in Families. The ensuing discussion allowed for participants to talk about issues that emerge from family philanthropy, which has gone a long way to creating valuable social impact, yet at the same time, as Halliday acknowledged, can erect communication barriers between families. Participants came together to address the varied approaches that different families have towards giving. Being more familiar with the field of family-wealth advisory in the U.S., Halliday asked participants to share insights from their own cultures and families. With APC members and Harvard alumni from Singapore, China, Indonesia, Thailand and Australia, among others, we were indeed treated to a variety of viewpoints that focused the discussion through a combination of cultural lenses, allowing the group to glean insights that are specific to, and universal across cultures. A common sentiment shared by our participants was the fear that the family’s wealth would hinder their children from finding the motivation to work hard and lead a fulfilling life. Parents may choose to give freely, financially or otherwise, or they may decide to withhold large gifts of money till the children have matured and are more responsible with money. Oftentimes, views on how money should be handled within the family differ between spouses, who in turn struggle with how best to support their children, who can have very different personalities and ideas of success. How then, should we go about managing wealth within families? Halliday referenced Roy Williams and Vic Preisser’s 20-year study of 3,250 high-net-worth families, which discovered that the failure to pass wealth down to the next generation is mainly due to breakdowns in trust and communication. The study thus points towards the importance of effective communication, which is integral to the success of any relationship or endeavor. Halliday advised families to start having conversations about the purpose and meaning of money early. Talking about the principles that underlie earning, spending and giving can provide powerful protection against many of the risks that wealth introduces to the family fabric. When children are brought up thinking about why money matters, the foundation for managing wealth responsibly has been laid. At the same time, parents who know their children in a financial management context are more likely to trust them, and better able to support them according to their personal characteristics and passions. “If you are considering making a large gift in the family, the conversation is as large a gift as the money itself,” Halliday said. From years of experience working with Harvard families, Halliday stressed that beyond defining the terms of success, it is more important that parents put their children in situations where they can acquire ambition, engage with their passions, and pursue achievement. These are characteristics that can be cultivated in a myriad of different settings from a young age, and transferred to, perhaps, more substantial pursuits as the children mature. And how can families trust more and communicate more? Halliday posed this to the participants, “Giving makes us more generous, generosity makes us more empathetic.” According to him, giving creates a positive feedback loop, and with a culture of openness and empathy, families end up wanting to give more to society too.